If you’re unhappy with receding gums, highly qualified dental professional, Ewa Tracz, DDS, offers the Chao Pinhole Surgical Technique — an innovative, minimally invasive procedure that doesn’t involve gum tissue grafting and long recovery times. 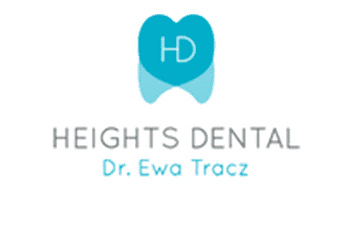 At Heights Dental NY in Brooklyn, Dr. Tracz and the friendly dental group can help you feel more confident with your smile and restore a normal gum line with the safest and most advanced methods. 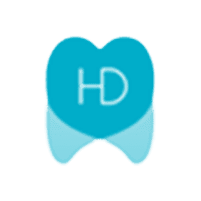 Call Heights Dental NY or schedule your personal consultation here on the web. You might have receding gums or gum recession if you notice that your gums seem to be pulling back from your teeth or your teeth look a little longer over time. Gum tissue wears away and leaves more of your tooth exposed. Receding gums can also cause your teeth to become more susceptible to bacteria growth. Receding gums can be a cosmetic and functional concern. Gum recession can’t be reversed, and receded gum tissue won’t grow back; however, there are ways to prevent the problem from worsening. The standard procedure for gum recession involves cutting out a graft of your gum tissue from the palate and grafting it to the places where it’s needed with two surgical wounds and sutures that take time to heal. The standard procedure can take up to 90 minutes for one or two teeth and the recovery time is typically around two to three weeks. Dr. Tracz offers the Chao Pinhole® surgical technique to treat receding gums and improve the appearance of your smile. The Chao Pinhole Surgical Technique is minimally invasive and doesn’t involve a graft. Dr. Tracz uses a needle to create a pinhole in your gum and inserts a special tool through the pinhole. Dr. Tracz frees the gum tissue and shifts the gum tissue down with gentle movements and minimal trauma using the special tool. She also places tiny collagen strips in your gum tissue to stabilize the gum flap. The collagen prompts your body to produce more collagen. In most cases, the tiny pinhole shrinks away and heals by the following day. The Pinhole procedure is much quicker and multiple teeth can be treated in as little as an hour. If you’re dealing with receding gums and interested in restoring your gums back to normal and improving your smile, call Heights Dental NY or schedule online.